held in Dublin, Ireland. Dozens of exhibitors demonstrated their wares and hundreds of bee masters exchanged ideas. made visitors feel very, very welcome. 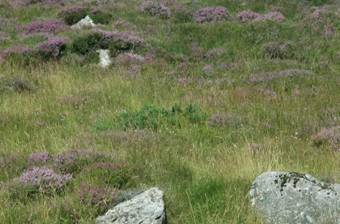 Those of us lucky enough to make this trip would agree that the island is as marvellous as its legends. 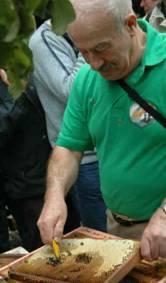 A visit to the Galtee Bee Breeding Group was part of a technical tour offered by Apimondia. conserve, and improve the native dark European bee of Ireland. central European stock during the past 150 years. and worked at monitoring the bee’s genetic purity and improving its disposition and honey collecting efficiency. 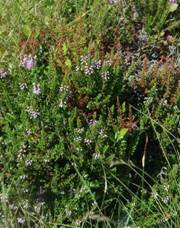 Other breeding criteria include disease-resistance and swarm-suppression. 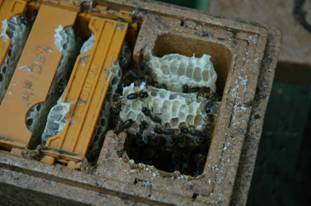 inner workings of these hives without the benefit of bee gear and despite the occasional drizzly weather. 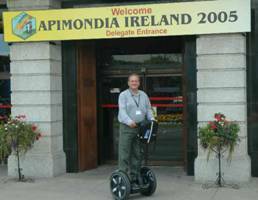 The Apimondia Conference was held in Dublin, capital of the Irish republic and home to almost a million folks. 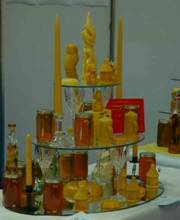 A new feature at this year’s conference was a honey show and competition. or authors with whom we were familiar, but had never met!